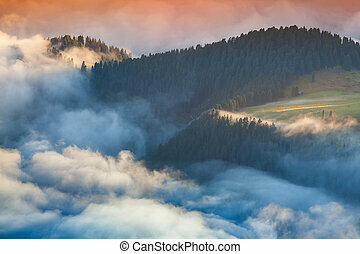 Foggy summer sunrise in the italian alps. 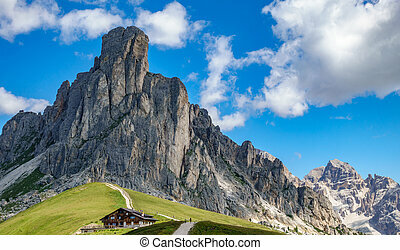 dolomites mountains, italy, europe. 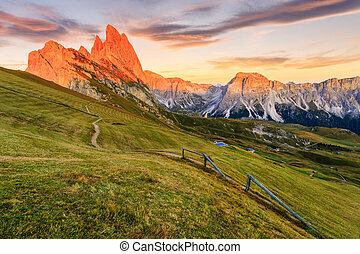 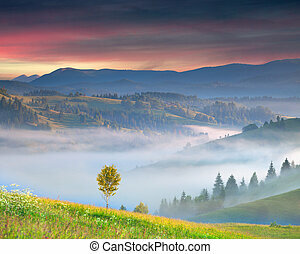 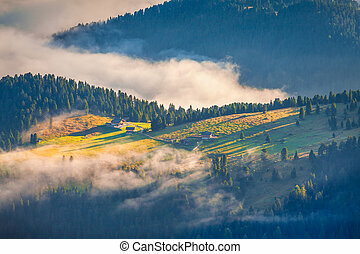 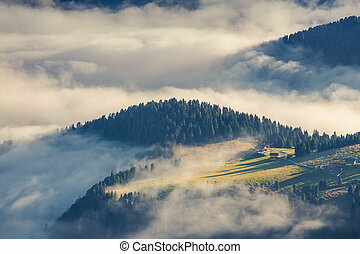 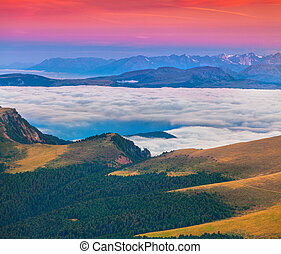 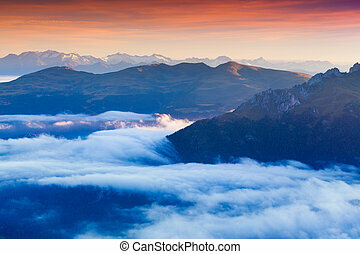 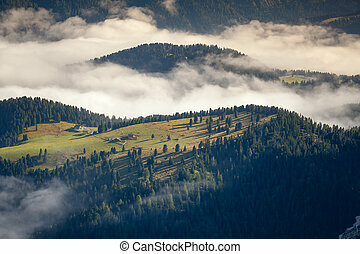 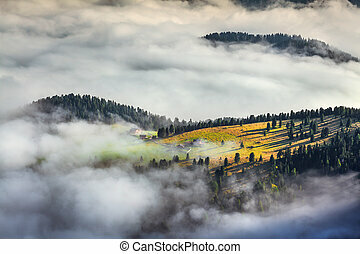 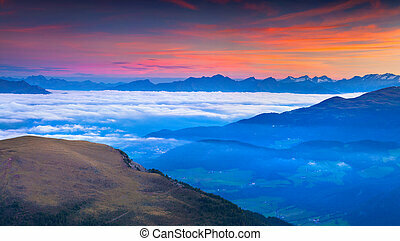 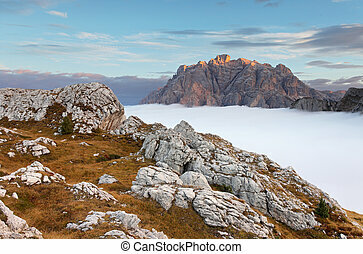 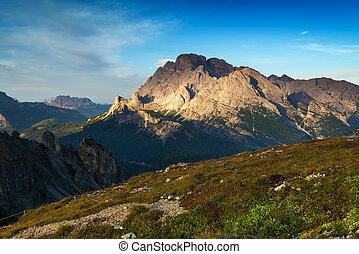 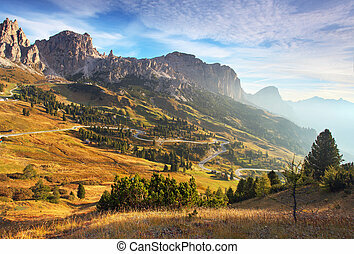 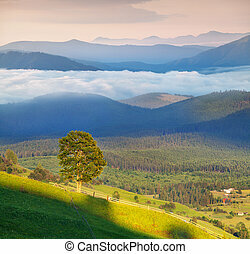 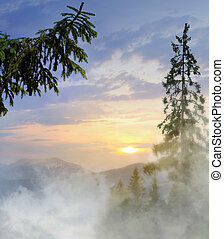 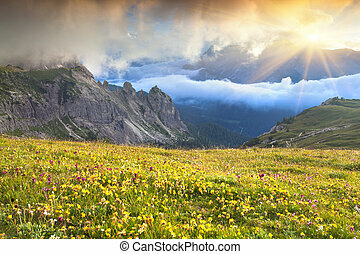 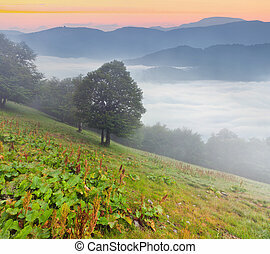 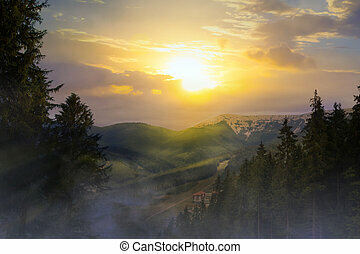 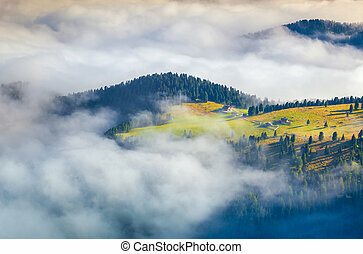 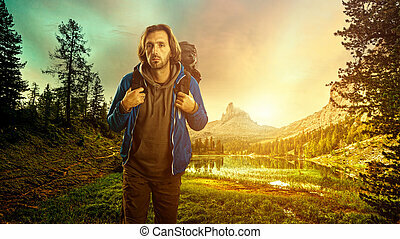 Sunrise in the Dolomites, panoramic pictures. 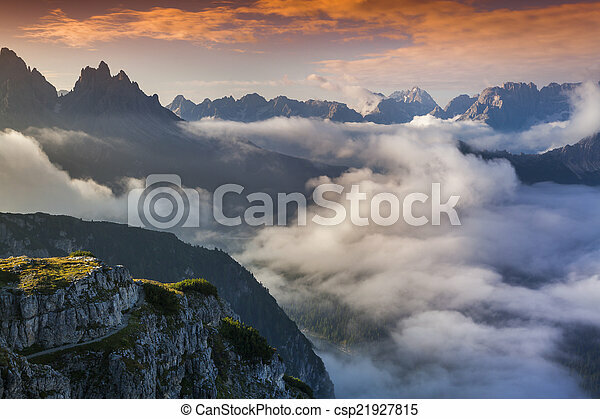 Foggy summer sunrise in the Italian Alps. 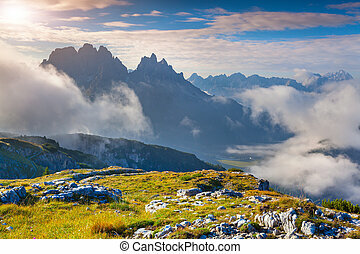 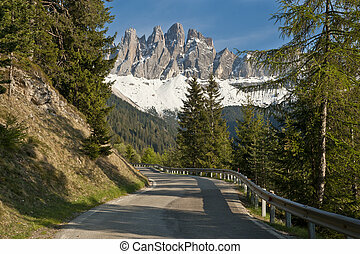 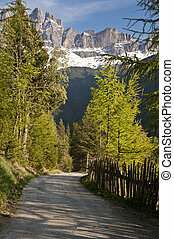 Ferchetta mountain range, Dolomites mountains, Italy, Europe. 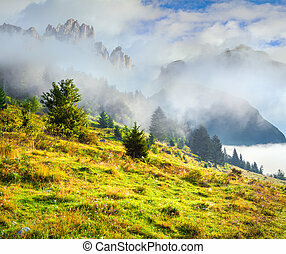 Foggy summer morning in the italian dolomites alps. 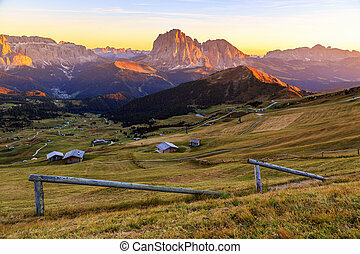 Sunny summer morning in the Italian Alps. 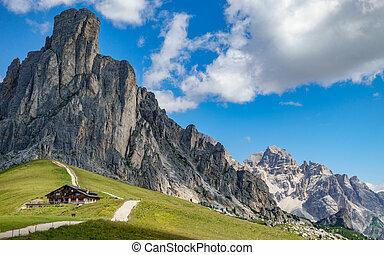 Dolomites mountains, Italy, Europe.